Replacement Batteries for meter. Replaceable in the field. 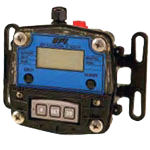 The Factory Mutual (FM) Approved Remote Kit Assembly modifies TM Electronic Digital Meters for applications in specialized situations including remote indication and high or low fluid temperature metering applications. 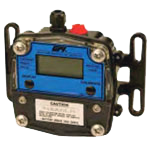 This kit also provides the versatility of panel mounting of the LCD readout up to 100 ft. from the turbine housing. Combine the Pulse Access Module with an Industrial Grade Turbine and Computer Electronics to create a low-cost flow sensor with local readout and pulse output which interfaces with counters, controllers and compatible process equipment. The module is designed to provide regulated power to the Computer Electronics. The batteries then become a backup or auxiliary power source. 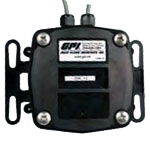 Transmits an industry standard analog signal for connection to a wide variety of chart recorders, display equipment and process control equipment. 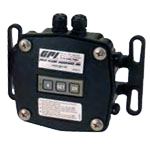 Digital signal output which interfaces with various counters, controllers and compatible process equipment. Comes with 10 ft. of cable. for a total price increase of $ 0. This clear cover snaps over the 09 computer and display to provide additional protection. Buttons can still be depressed through access ports. NOTE: ONLY available on 1/2", 3/4", & 1" models. ONLY available on local displays without 90° Adapter or Output Module. Only allows access to the DISPLAY button. Prevents users from changing units and/or calibrating.